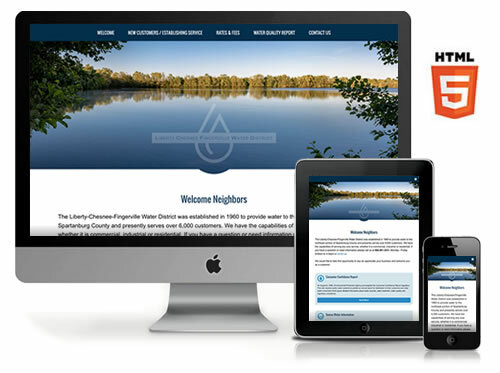 GREENVILLE, SC - Stratatomic has recently launched a new website for Liberty Chesnee Fingerville Water District, now available online at LCFWD.com. The Liberty-Chesnee-Fingerville Water District was established in 1960 to provide water to the northeast portion of Spartanburg County and presently serves over 6,000 customers. Liberty-Chesnee-Fingerville Water District purchases water from the Spartanburg Water System (SWS) for distribution to residential, commercial and industrial customers. Spartanburg Water System uses surface water from three lakes within Spartanburg County: Lake William C. Bowen, Municipal Reservoir #1, and Lake Taylor H. Blalock.